Price £65.00 for the empty crate, plus the shipping. 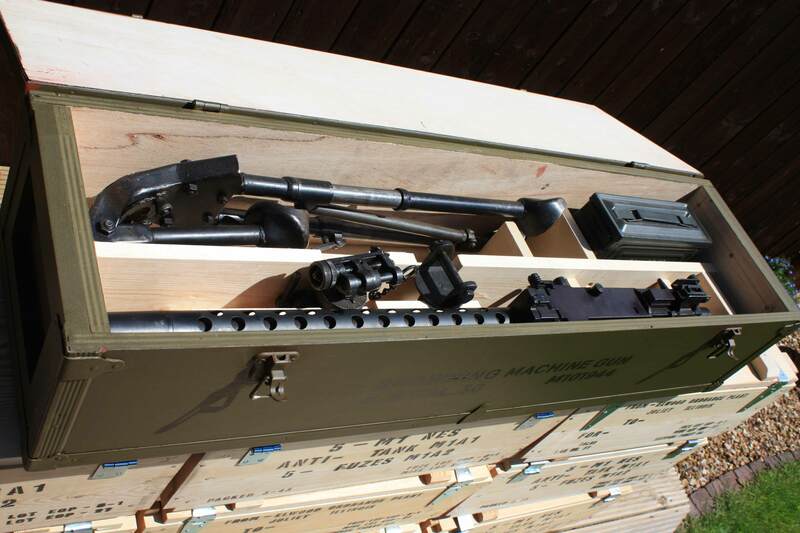 Crate based upon the original that will take the Machine Gun, 3 x 50 round drum mag's and 6 x 20 round stick mag's. Price £145.00 for the empty crate, plus the shipping. We can make the racks to suit any number of rifles. This one has place for six each side, a squad of 12. 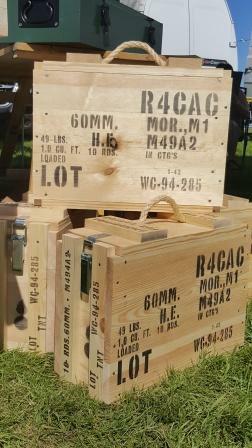 New wooden crate that holds 4 metal, 250 round, .30cal ammo tins. The wires unwind along the top edge, to enable the box to unfold for access to the tins. The crates have false ends to make it appear that they are full! These false panels can easily be removed if required. 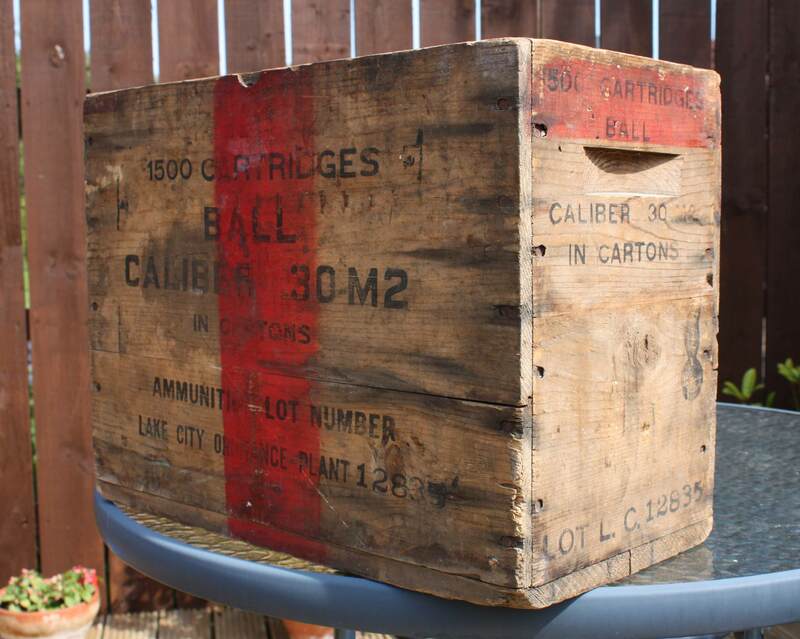 Price, £40.00 plus shipping, for the wooden crate, the 4 metal tins are not included. 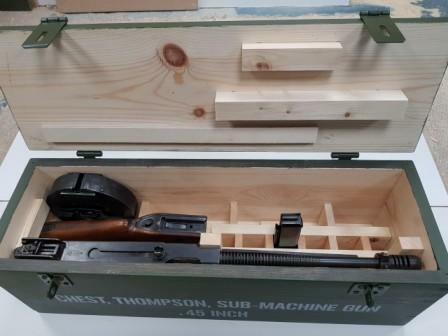 This box is made to the same specification's as the .30 cal box. 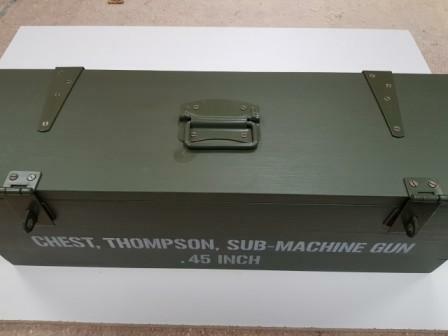 Complete with metal edge protection strips, rope carrying handles and it will take the .50cal machine gun and a metal box of ammunition. Price £190.00 plus the shipping. 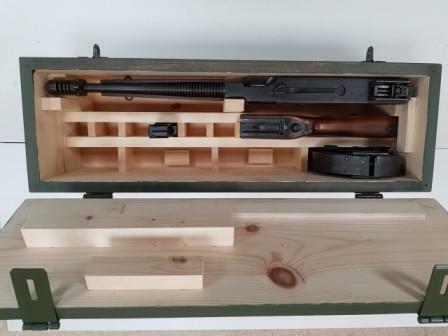 This box has been made to take my 30 cal, tripod, ammo box etc and is based upon an original box for a water cooled gun. 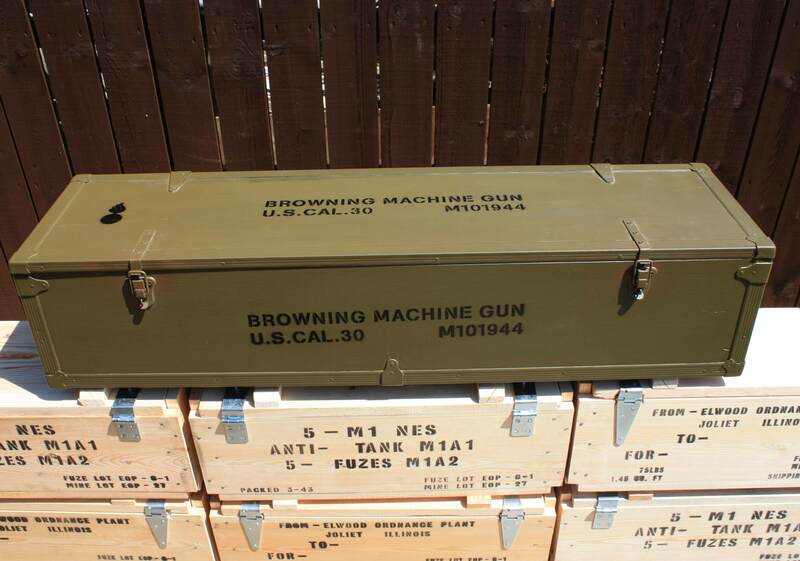 I wanted a box in which to store and transport all my 30 cal bits as my wife said no to keeping them in the front room! This box allows for easy transportation when going to shows as all the parts are in one place and stored securely, avoiding damage now with rope carrying handles. 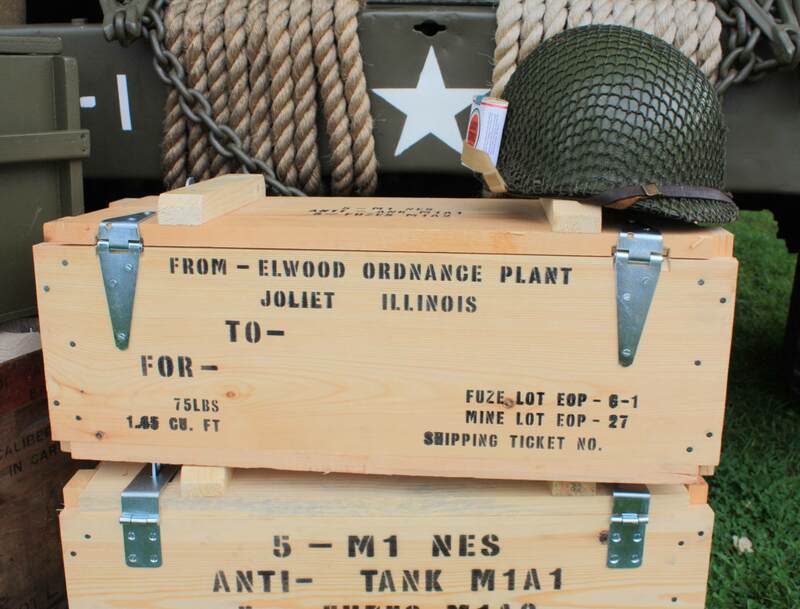 I have painted this box Olive Drab and tried to match the hardware. 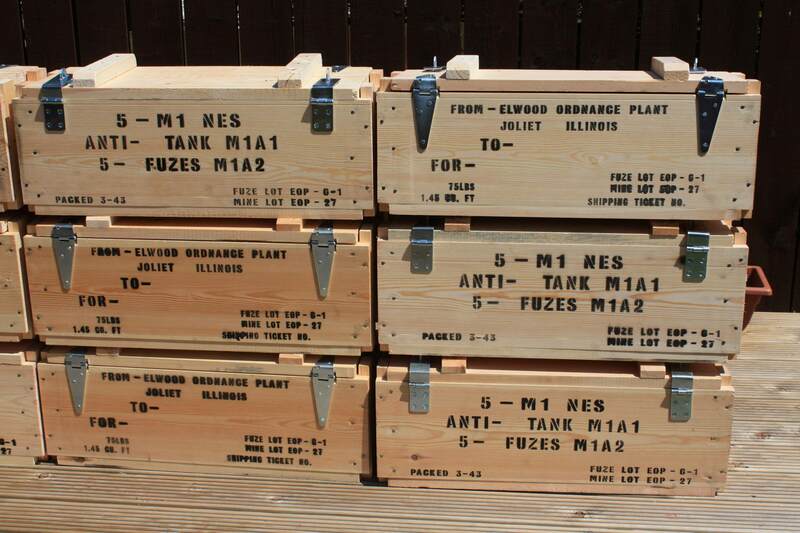 If you want crates of any other size making to take your own weapons, please give me a call. This is a copy of an original sample that I have (see left photo). It is a simple box to look at, but takes a lot of time to reproduce due to the detail on the lid and fastener and now with easy open lids. It is left in unfinished pine and is marked up as my sample. This is a copy of an original sample that I have (see photo with original and repro sample). It is a simple box to look at, but takes a lot of time to reproduce due to the detail on the lid and fastener and now with easy open lids. 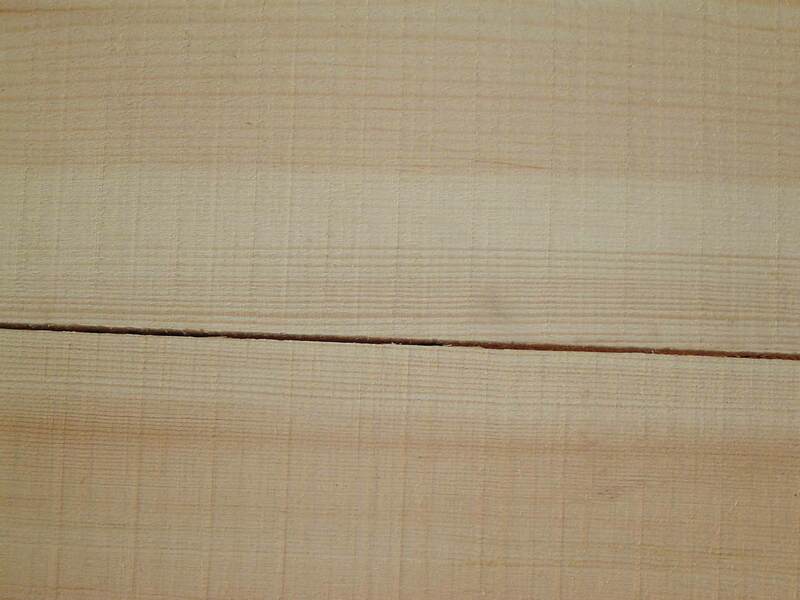 It is left in unfinished pine and is marked up as my sample. Again this is a copy of an original sample that I have (see left photo). 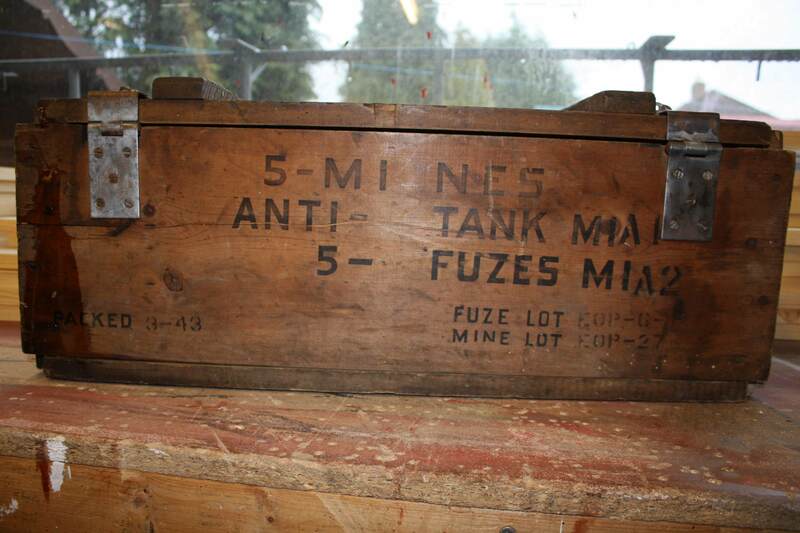 This box was used to carry 5 mines and is left in unfinished pine and marked up as my sample. 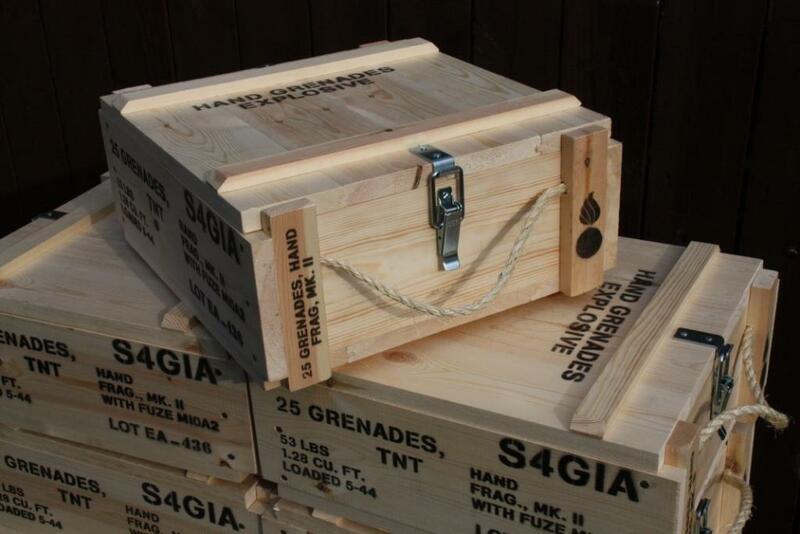 Each wooden crate will hold 25 hand grenades in their fibre containers, complete with Ammunition Data Card. 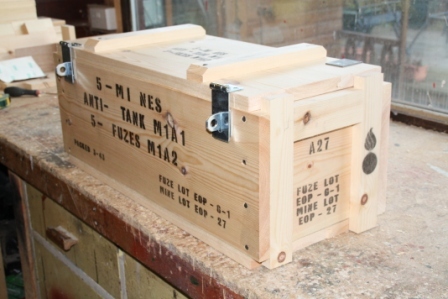 A new line just added to the range of crates due to popular demand. 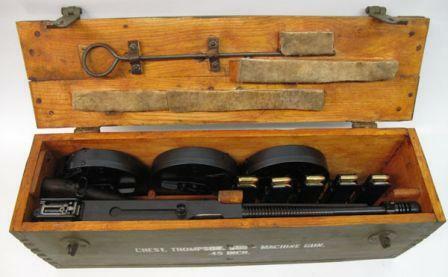 Perfect for those displaying explosives and for Engineer's Diorama's amongst other uses. 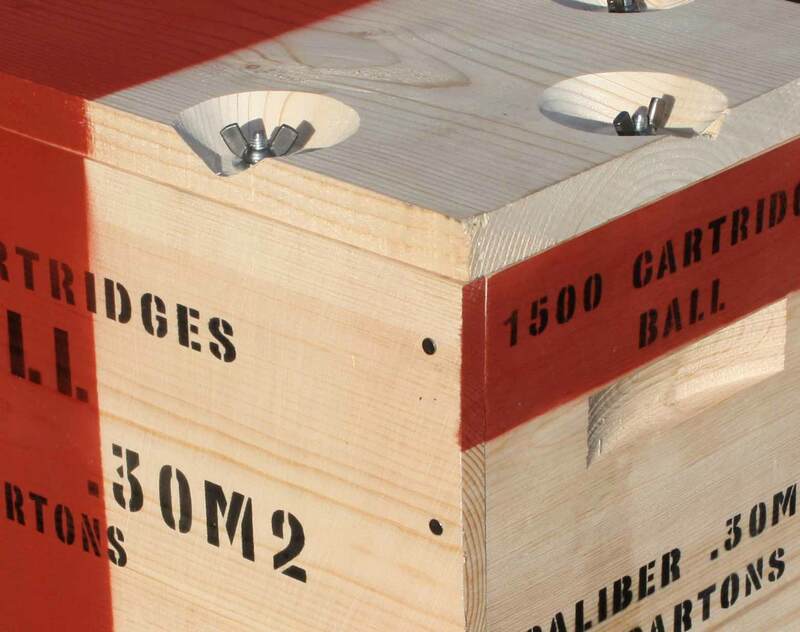 The Explosive Crate is generally constructed in the same method as the C & K Ration crates for ease of stacking, however its size can be varied and constructed to your own dimensions and specification as required. Please just contact me to discuss prices. Price - Starting from £30.00 plus postage (crate only).